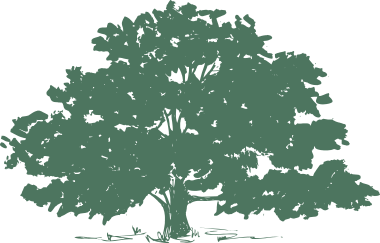 The risk of tripping in a hole or over an unexpected dirt mound where a tree once stood, could easily result in a broken leg or at the least, a painfully sprained ankle. And isn’t it “fun” to mow while dodging stumps? Not to mention the eyesore people see on your property. 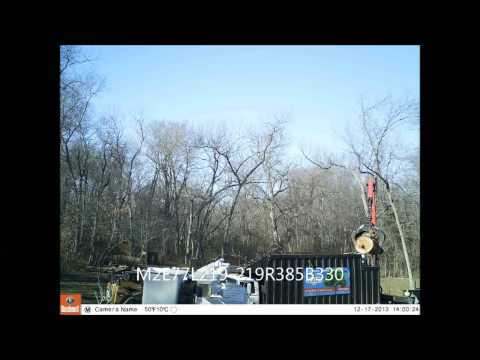 Rickert Tree Service removes tree stumps using a professional grade stump-grinding machine. A stump grinder makes use of a rotating cutting disk (high speed) with fixed carbide teeth that grind the root ball into small chips. What’s left is a mound of wood chips similar to sawdust, which can be removed or mixed into the earth in the hole, leaving your property attractive & functional once again. However you choose to dispose of the chips, the place the stump once occupied can now be used for planting shrubs, flowers, trees, or building upon. Even if you don’t immediately re-use the area, it will be much safer after having the stump removed. 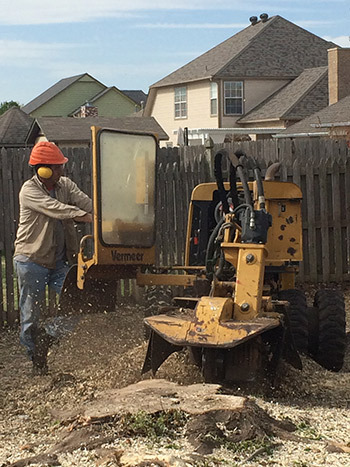 Contact Rickert Tree Service today to get a free estimate on our professional stump grinding Tulsa services.